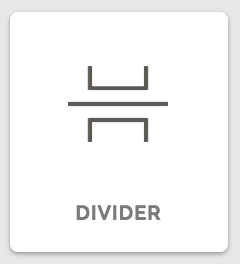 A divider is an element component. Like all components in Landing Lion, you can add a divider to any page by dragging it from the Right Pane and dropping it on the Canvas. To select a divider in Landing Lion the Selection Tool must be set to "Auto" or "Element". Thickness - change the thickness of your divider. Thickness is set to pixel. By default, it is set to 1 pixel. Color - change the color of your divider. 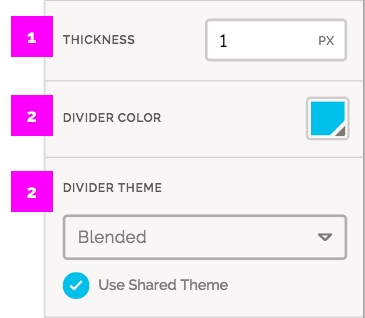 The available colors are pulled from your theme's color palette.